So my favorite weekday breakfasts are muffins, granola bars, and Greek yogurt. I love oatmeal with raisins in the winter, fruit smoothies in the summer. But this recipe is perfect for any time of the year. 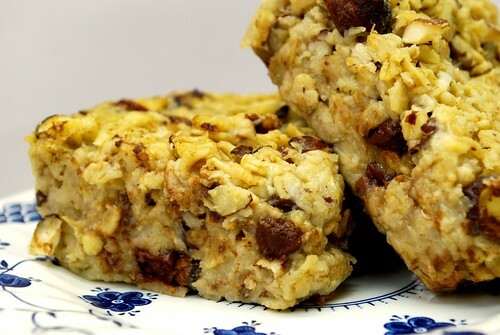 Baked oatmeal is a traditional Amish dish, but this version uses some modern ingredients to update a classic. The oatmeal is packed with fiber, and the protein-rich soy milk will keep you full until lunch time. The cherries, hazelnuts, and chocolate chips add those extra anti-oxidants and fatty acids that keep your body healthy. And it’s a super hearty, super tasty accompaniment to your coffee, to boot! This is also a super-versatile recipe. 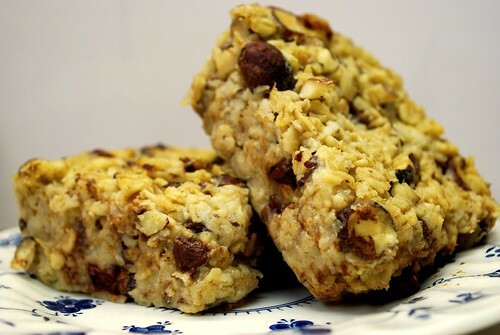 It would be great with mashed-up banana and walnuts, with dried apricots and pecans, or even raisins and almonds – yum! 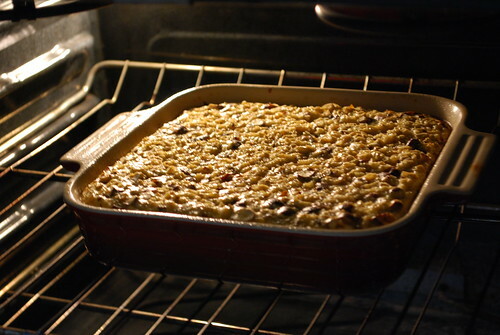 Preheat your oven to 375 degrees, and grease a 8×8″ baking dish. Combine all ingredients in a large mixing bowl. Spread evenly in your prepared baking dish. 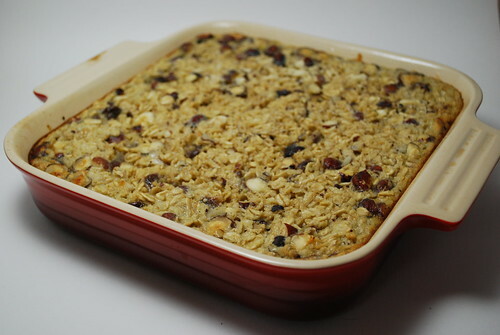 Bake for about 30 minutes, until oatmeal is golden brown. This stuff is best served warm, but you might want to cool for easier slicing. Then you can store the squares, freeze them, microwave them, toast them – they’re ready and on-the-go!